Wow, I am exhausted from downloading all of those jackpot freebies... I just had to stop at like 50. I can't click anymore!!!!!! But I got some legit stuff! Last week we started making our landform maps. 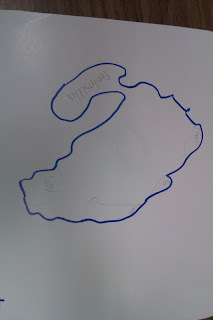 As of my last post, we had planned out our maps. Click on the picture to learn about that part! 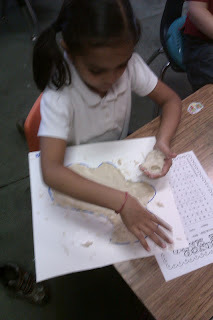 Next, we moved on to forming our countries with salt dough. My book told me to make the salt dough with 2 cups of flour, 2 cups of salt, and 2 cups of water. I stand before you today to say that if you follow that recipe, you will have a mess. I don't know what exactly my recipe was, but it was definitely heavy on the flour and light on the water. It was based on trial and error! I went into school today to grab my Social Studies manual, and the countries are all dry and ready to be painted tomorrow! Some of the kids still probably weren't done, but I am so over making that dough! My arm was hurting trying to mix it all!! How fun! 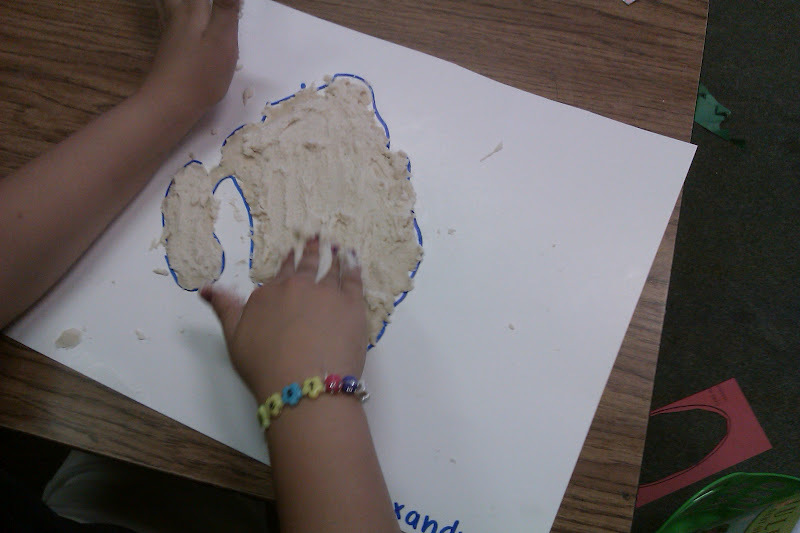 I've made salt dough maps of the Texas regions before- the kids always loved it!